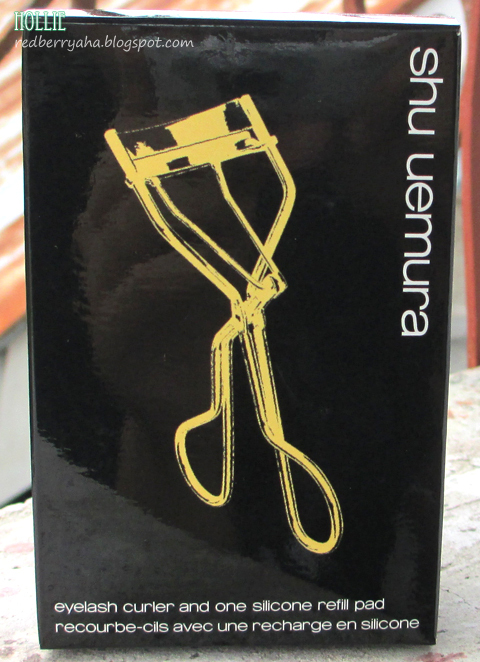 Finally bought the ever famous Shu Uemura Eyelash Curler last September 2012, during their first visit here in Cebu. 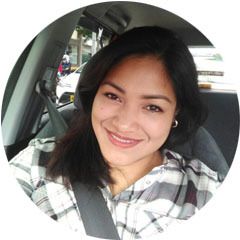 You can check the event HERE. I've been using this eyelash curler for about 4 months now, both on myself and my clients as well. It was love at first use! 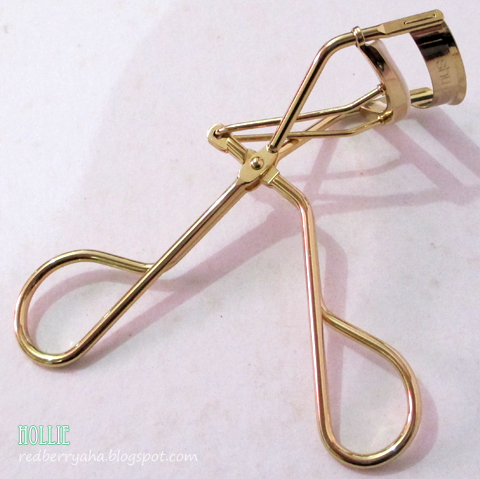 I'm really impressed how this eyelash curler fits majority of my clients' eye shape. Prior to purchasing the Shu Uemura Eyelash curler, I have been using the ELF Studio Eyelash Curler and Revlon Eyelash Curler. One thing that I instantly noticed about the Shu Uemura Eyelash Curler is that, it fits my eye perfectly. It also does not give that stiff looking "L" shaped lash when I hold it too long. I'm guessing that's probably because of the silicone pad used for the curler, which also helps give that perfect curl. The Shu Uemura Eyelash Curler has a smaller opening compared to my other lash curlers. It opens just enough for you to comfortably fit your lashes in. 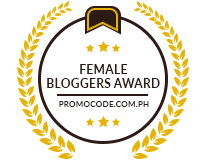 The gold variant of the lash curler retails for Php 1,400.00 if bought locally at Rustan's. However, I'm sure it only costs half the price if bought in Japan. The silver variant is slightly cheaper at Php 1,100.00. 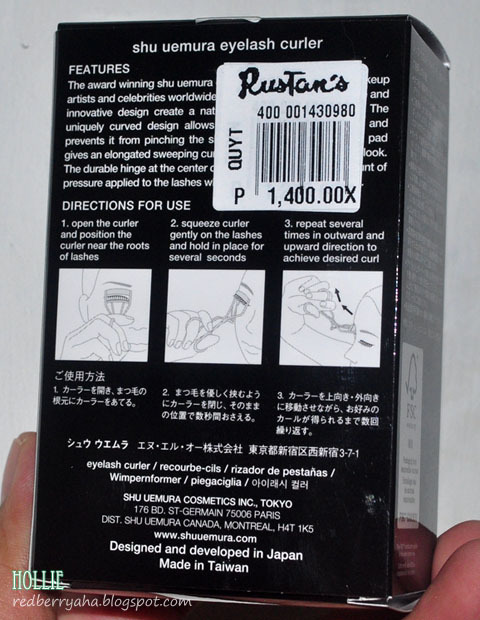 Each box of Shu Uemura Eyelash Curler comes with a free silicone pad which has the Shu Uemura brand engraved to it. I'm sure it will take years before I could use the extra pad. The Shu Uemura Eyelash Curler is very easy to clean, I just use baby wipes to remove dirt then it's good as new. After 4 months of use, the gold plate on the curler didn't fade at all not even a little. I have a good friend who is also a Makeup Artist, she has been using her Shu Uemura Eyelash Curler silver variant for 4 years now and it is still in good condition. I can now understand, what made the Shu Uemura Eyelash Curler famous. Having an eyelash curler that will last for years and give you that perfect lash curl without tugging your lids is definitely worth it. I wish I had the gold one! :p I've been using my Shu curler for over 5 years now! Oh man, this one is still on my to-buy list. I didn't realize that this baby could last 4+ years!! I was even surprised when I found about that it really lasts a long time, some ladies even had theirs for over 8 years! Hi Ms.Hollie! I have a question.. Should the free silicone pad have the Shu Uemura brand engraved to it? This is for the ones that are not in gold color..
@Krisella, from what I know, all shu uemura silicon pads whether it's the silver or gold variant, have the shu uemura imprint/engraving on it. Wow! I heard it's the best curler brand! I love the gold curler. Nice pick! 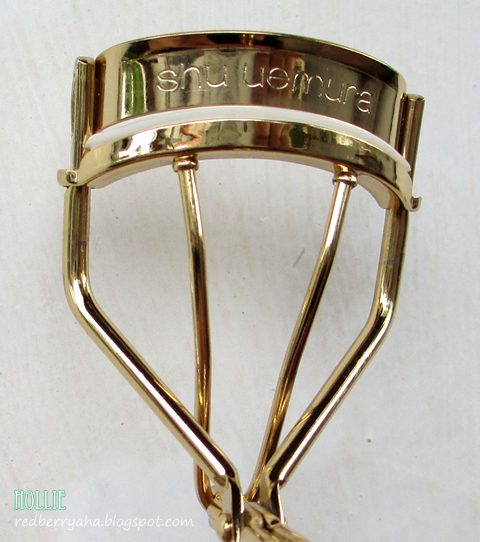 i have this exact gold shu uemura eyelash curler and i love it too!! it seems to be the only one that work with my eyes hehe! love it! I heard that this curler is specially designed for Asian eyes, so that might be why it makes curling easier :) I use the Shiseido one, and it works really well too, but this one looks more sleek! Right now I'm just using the Fanny Serrano eyelash curler, which they say is a good dupe, but I don't really think that it's half as good as the one from Shu. I'm hoping to get this someday but then there are some Asian bloggers and guru who mentioned that Shiseido eyelash curler works better for them. Do you have any plans of getting Shiseido's?